Brian Garrett feels a deep obligation to provide biosafety equipment that is "as bullet proof as possible" for the protection of the scientists and researchers on the front lines. Every day they make new discoveries and defend us against new risks, new agents and threats to our health. The team of engineers at Labconco developed the Type C1 to eliminate the need for all other types of biological safety cabinets. They combined features of type A2 and type B2 cabinets in a way that most in their field had thought impossible, to create a safer, more reliable, more useful work space. 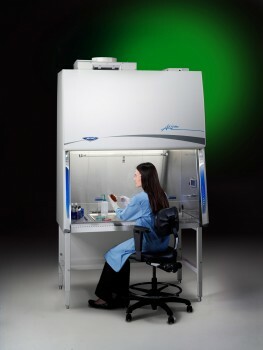 Laboratory building design, life science lab work flow and lab safety all took a giant leap forward from decades old Type A2 and Type B2 technology with the creation of this new type of Class II biosafety cabinet.